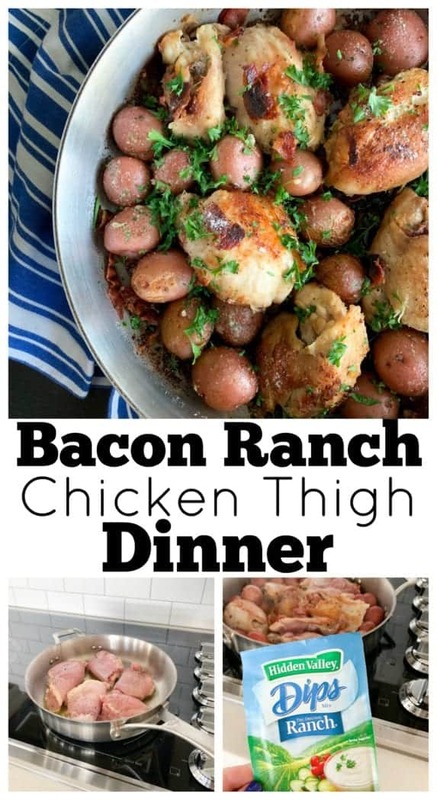 Sharing chicken thigh recipes for dinner are some of my favorite! 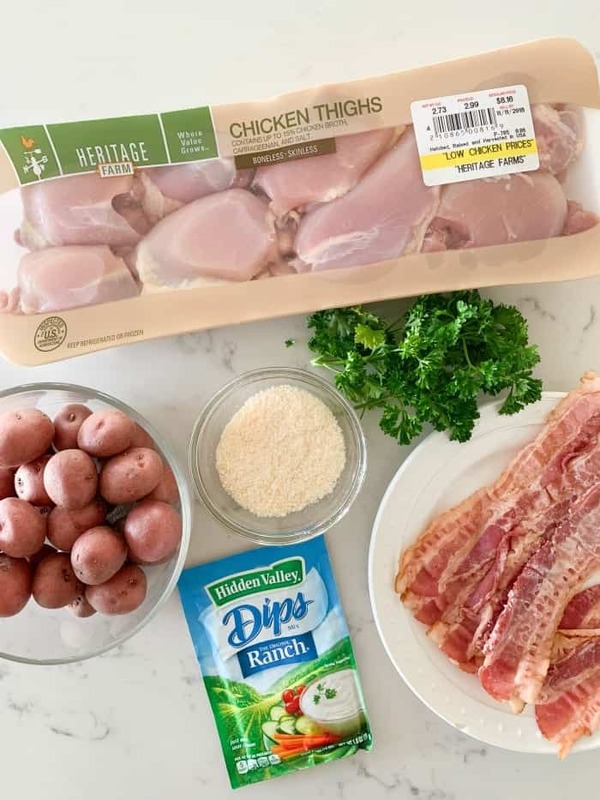 My Bacon Ranch Chicken Thigh Dinner is perfect for busy weeknights and great as a Sunday dinner with a lovely salad and crusty bread! 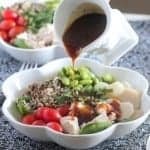 I know how tricky it can be to find new easy dinner ideas every week. It’s my hope that I can bring a little something new to your dinner table that the whole family will enjoy. Chicken thigh recipes cook up quick, they’re generally inexpensive, plus the meat is tender and flavorful. If you haven’t tried them yet, give them a try for your next dinner! 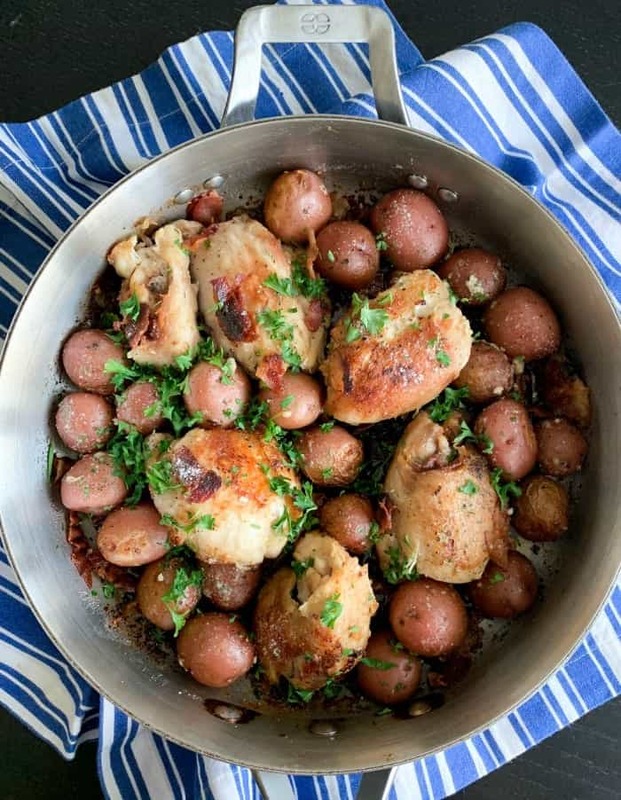 For more Picky Palate chicken thigh recipes try Pan Roasted Garlic Lemon Chicken Thighs and Pesto Ranch Crock Pot Chicken Thighs. Be sure to follow Picky Palate on Instagram for for daily recipe inspiration! 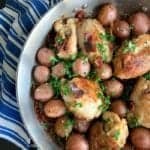 Chicken thighs are simple to cook. 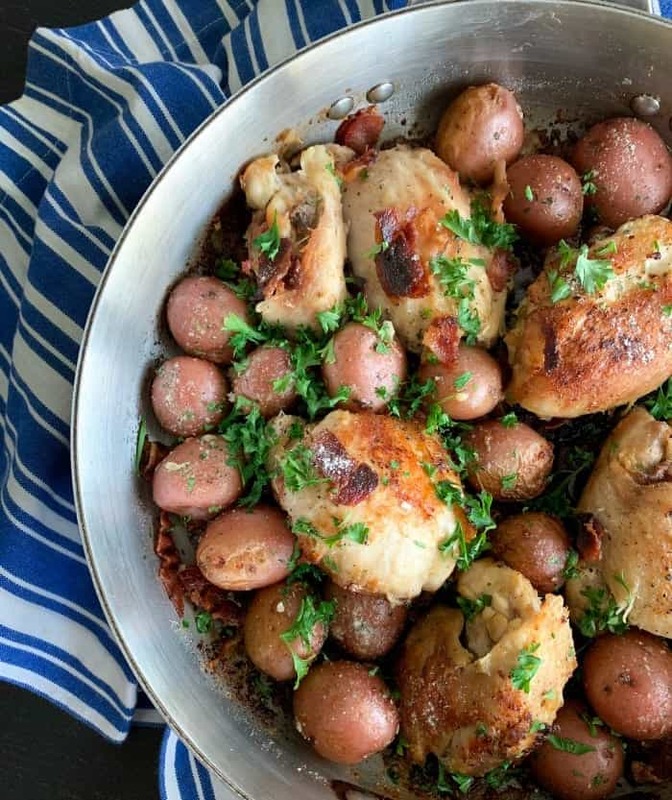 I pan fry this recipe right on the stove-top, however you can bake them as well. Whatever you prefer. 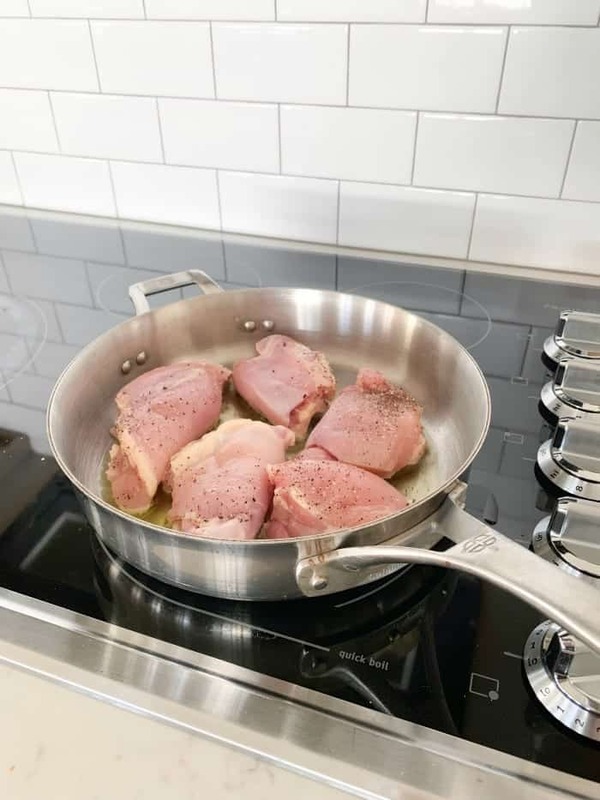 Season both sides of the chicken and make sure your oil is nice and hot before adding your chicken thighs, this will give them that nice crispy golden crust. 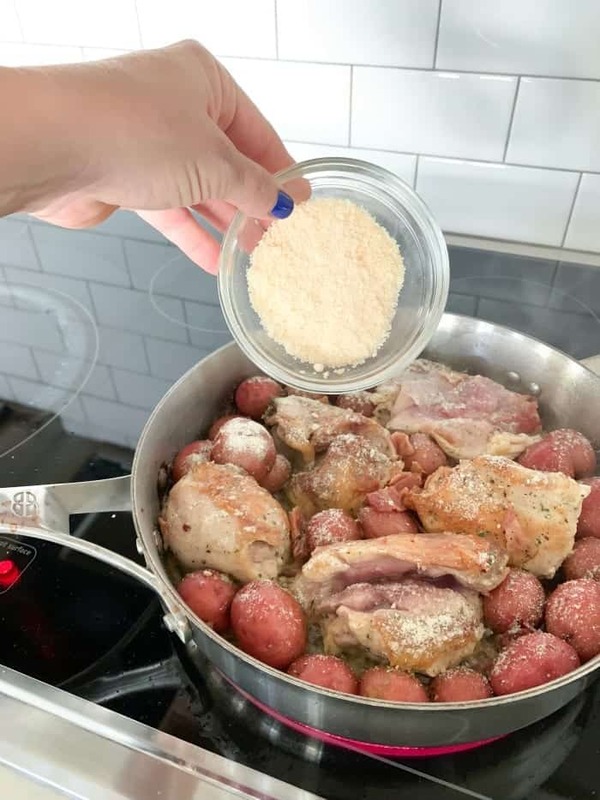 Add the bacon pieces and baby red potatoes. Try to find tiny little baby potatoes. They fit in the skillet much nicer. Season the chicken and potatoes with Ranch Dressing seasoning mix. Add a few pinches of grated Parmesan Cheese too. Garnish with some chopped fresh parsley and voila! Dinner is served. Heat oil in large skillet over medium heat. Season both sides of chicken thighs with salt and pepper. Place into hot skillet to brown both sides, 3-4 minutes per side or until golden. Season tops with Ranch Dressing Seasoning and add bacon pieces and arrange baby red potatoes in between chicken pieces. 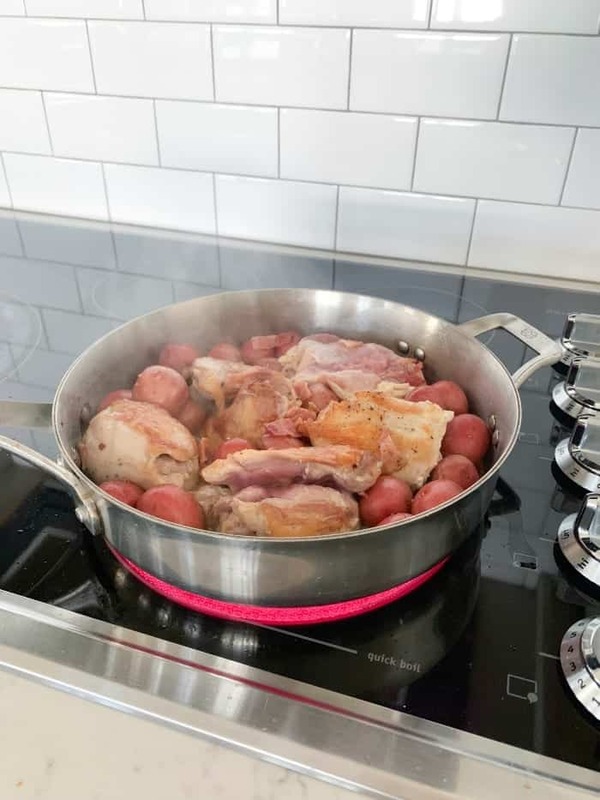 Reduce heat to medium-low and cover skillet partly with lid, leaving a small opening and cook for 20-30 minutes, or until chicken is cooked through and potatoes tender. 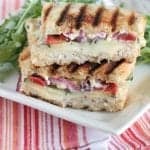 Serve with a side salad and bread if desired.